The year 2018 marks the 45th anniversary of the establishment of diplomatic relations between Vietnam and Australia. In the last four decades, the relationship has grown from defense cooperation to a comprehensive partnership to a strategic one. Both countries are among the top 15 trading partners for each other, with bilateral trade growing by 12 percent in the last five years. 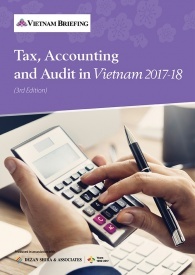 Australia is also among the top official development assistance (ODA) donor countries, and accounts for a large number of overseas Vietnamese students. Both countries established diplomatic relations in 1973, and by 1999, both parties started to strengthen their defense relations. By 2009, they move towards a Comprehensive Partnership, which deepened cooperation in areas such as public policy exchanges, economic growth, trade development, ODA, technology, defense, and regional agenda. 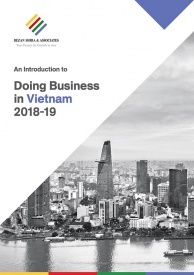 By 2015, they committed to a “Declaration on Enhancing the Australia-Vietnam Comprehensive Partnership”, focusing primarily on regional security, stability, and economic growth. This comprehensive partnership developed into a strategic one in 2017, with a focus on trade, investment, education, security, immigration, and human trafficking. 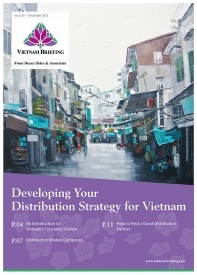 Currently, Australia is Vietnam’s eighth largest trading partner while Vietnam is the 15th largest for Australia. According to Australia’s Department of Foreign Affairs and Trade, bilateral trade of goods and services between both nations in 2017 reached US$9.5 billion, growing by 18.3 percent compared to 2016. Trade has grown by 12 percent in the last five years. Exports of Vietnamese goods and services to Australia grew by 17.6 percent year-on-year in 2017, to US$4.9 billion. Exports have grown over eight percent in the last five years. Goods accounted for US$3.28 billion of the total exports. Imports of goods and services from Australia in 2017 grew by 19 percent year-on-year in 2017, to US$4.6 billion. Goods accounted for US$3.17 billion of the total exports. Major Vietnamese exports are electronics and equipment, footwear, garments, and seafood. Telephones, electronics, and components alone accounted for 31 percent of 2017 exports. Exports value of other items such as crude oil, footwear, and seafood reached US$262 million, US$225 million, and US$185 million respectively. Metals, coal, wheat, crustaceans, and cotton were the major imports from Australia. In 2016-17, Vietnam’s service exports reached US$1 billion, growing by 23.1 percent year-on-year. Personal travel excluding education and transportation accounted for the majority. Service imports reached US$1.1 billion with education-related travel accounting for the majority. By the end of 2017, Australia had invested around US$1.808 billion in 407 projects in Vietnam. The country is also among the largest ODA donors to Vietnam. Annually, it provides around US$150 million worth of ODA. Driven by a growth in disposable income and the economy, domestic demand for imported goods continue to grow and offers opportunities for Australian firms, especially ones involved in dairy, meat, wheat, consumer goods, and machinery. Apart from goods, the service sector has also witnessed a rapid growth in bilateral trade. 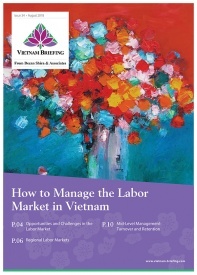 Demand for education services especially higher education and technical training is high in Vietnam. A large number of Vietnamese students continue to prefer Australia to other countries for overseas education, highlighting the need for higher education services. For Vietnamese businesses, seafood, electronics, wood products, textiles, and machinery offers huge opportunities in Australia. Free trade agreements are the major drivers of trade and investment between the two nations. Australia will reduce most of its tariffs this year, and all of its tariffs to zero percent by 2020, under the tariff schedule of the ASEAN-Australia-New Zealand Free Trade Area (AANZFTA). In addition, the Comprehensive and Progressive Agreement for Trans-Pacific Partnership (CPTPP) will further strengthen bilateral trade ties. Textile and garments in particular, will hugely benefit from CPTPP, with Vietnamese exports to Australia predicted to grow by double digits. Once the CPTPP comes into effect, Australia will reduce import duties to five percent. From the fourth year, it will be reduced to zero percent for almost all the products. Going forward, the economic relationship between both the nations will continue to grow rapidly and substantially. In addition, we will see an increase in cooperation in matters of regional security and defense.